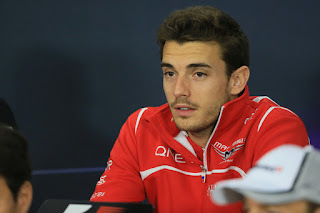 In Hockenheim last year I was fortunate enough to have a one-to-one Q&A with Jules Bianchi (you can have a read of it here). To hindsight it seems a rather small time conversation with me asking about whatever were the esoteric matters of that particular F1 weekend, but I recall finding in Bianchi a pleasant, helpful and softly-spoken young man, and a humble one, without the bombast and insistence on self-promotion that infect many in this game. Little wonder that he was liked within his teams and in the paddock more widely. I recall talking to him during the next weekend in Hungary too after his stunning qualifying run had got him into Q2 against all odds, and with it, irony of ironies, kicked Kimi Raikkonen's Ferrari out of qualifying in that first session - Ferrari being the very team that Bianchi was a member of its young driver programme. He unlike the person speaking to him was keeping well in check any frenzy about how this would aid his future prospects, insisting that he could only do what he could behind the wheel and whatever would be would be. It can be hard to judge the abilities of those in cars struggling at the back, particularly young drivers. The sport can have a tendency for over-excitement too - there are countless cases of those about whom we've thought 'if only they had a chance in a competitive ride' only for people closer to the coal face, usually a more discriminating measure, to say off the record that in fact they're not all that. But this was not the case with Jules. 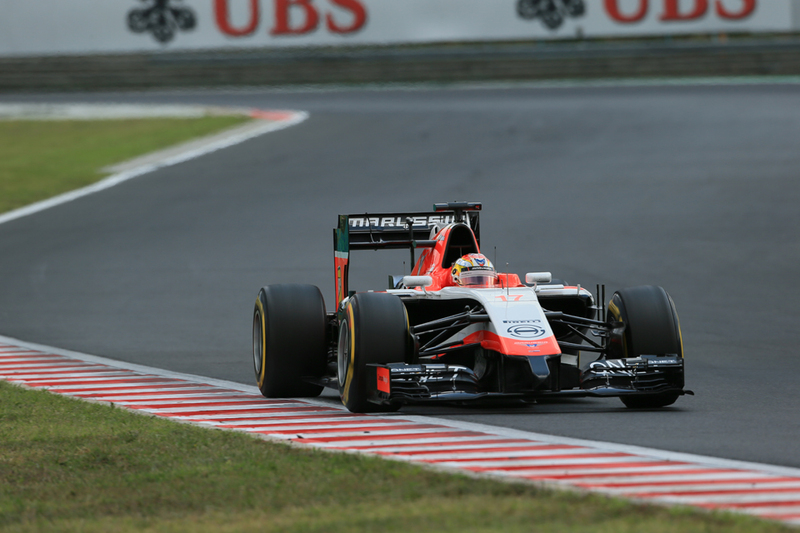 He always fought and always impressed even within his rather modest predicament in a tail-end Marussia. Almost immediately in his F1 career at that team he was wowing people - in Malaysia in his first ever dry qualifying session his effort resulted in a few jaws dropping around the garage. Unlike many F1 debutants with little testing there seemed no period of settling in; no spell of getting up to speed. Throughout he almost always beat the cars that he could, and took the fight to those ahead in better equipment whenever he could. He also had a rare ability to seize isolated opportunities when they came along. 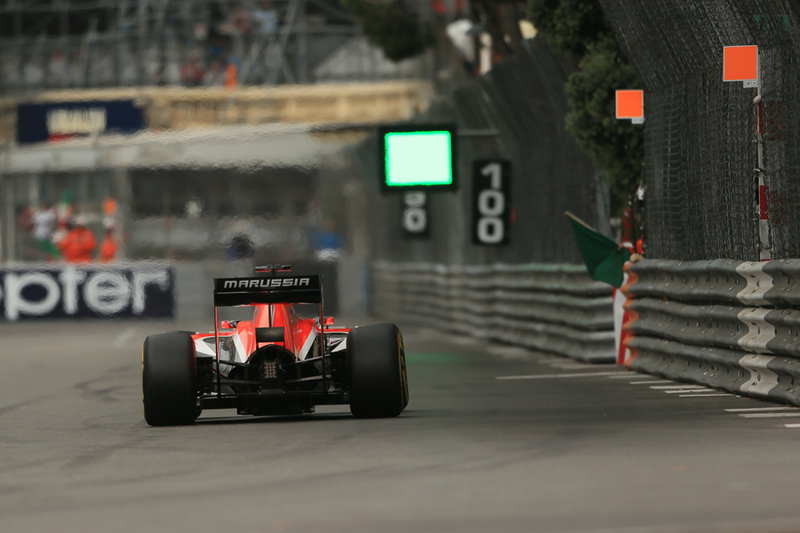 We all recall Monaco last year where he scored his Marussia team's only ever points with ninth place. And it was no fluke, indeed he had rather a lot to overcome that weekend even with it. In qualifying he looked good to get into Q2 on merit before technical problems struck and he also got a grid penalty for a gearbox change. Then in the race his team added five seconds to his solitary pit stop unnecessarily. But he was quick, combative and determined throughout and got his reward. In Silverstone he was about as impressive, as in difficult conditions he qualified in P12; he was aided by others messing up but the laps that he put in were excellent. While in similar conditions in Spa's qualifying he was about as effective. Hungary's qualifying last year we've mentioned, yet for all that then Ferrari got criticism for an apparent mess-up it should not be forgotten that a big contribution was that Jules simply had set a lap time at the last well beyond what anyone thought possible. While of course none of us know what would have stretched ahead those at Ferrari who were overseeing Bianchi's development thought him one on the programme whose ability and tenacity were worthy of taking him all the way to an F1 race seat at the Scuderia itself. An extremely rare thing. That it has emerged since the accident that Ferrari had mapped out a route for him to that drive - Sauber this year and, assuming he continued to do himself justice, a Ferrari drive for 2016 - underlines the potential that the Scuderia saw, although also adds too to the disquieting sense that this with a man with much more that awaited him. Adding to the irony is that his passing comes just as the frantic chatter about who is to drive in that very seat for next year has really got into top gear. It has since emerged too that had Ferrari ever had to run a third car then Jules was ear-marked as the one to drive it. As is right the sport had a period of introspection and reflection after his accident in Suzuka, and as also thankfully is its way these days appeared to shirk little in learning whatever lessons it could from it. F1 and motor sport more widely have of course come a long way on safety; that this was the first fatality from a a Grand Prix race meeting in over 21 years is testament to this. The F1 of the past wherein death while still regrettable also was considered routine to the modern perspective is close to unrecognisable. Yet as Mario Andretti for one has noted, "motor racing is also this". We can do what we can to minimise the danger and to be fair the modern sport has this almost permanently at the front of mind. But motor sport and risk cannot be decoupled entirely. It remains and will always be a journey without end. And thus here we are left instead with our latest aching sense of what might have been. Yet also we are left with our memoires of a fine racing driver and an even more fine young man, memories that will live on. He will always be the likeable and humble individual with an outstanding talent, for whom so much laid before him. And that is something to cherish. Jules Bianchi - rest in peace.